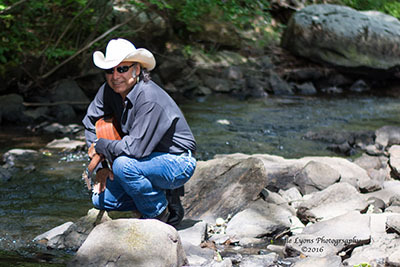 Award-winning Native American song writer and musician, Howard Lyons is a Folk/Pop musician, composer, singer and instrumentalist. His lively upbeat style, thought provoking songs and rich vocals have put Howard Lyons on stages all across America and Canada. 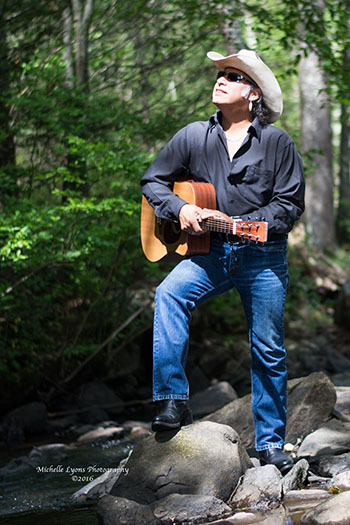 His first recording in 2002, "Hopes and Dreams" gained him award winning success within the folk music scene and Native American music category. Lyons was later signed with prominent Native American label, Sound of America Records when his second release "Spirit Walk" a world beat recording again won him success at the Native American Music Awards for Artist of the Year and Songwriter of the Year nominee. Howard Lyons sings from the heart with his crystal clear vocals and unique rich voice. His singing style has been compared to Paul Simon, John Denver, and Neil young. Lyons has toured extensively across the U.S. several times as a solo artist and with a five piece band. His newest single release, "In your Eyes" was nominated for Best single Song of the Year 2016 by the Native American Music Association and Awards. Howard Lyons is a proud member of the Six Nations Iroquois Confederacy, Haudenosaunee, Wolf Clan of Akwesasne Mohawk Nation. Howie Lyons owns and operates his own independent recording studio "SkyDome Music Productions" where he produces and records his own compositions as well as other musical artists. National Touring Recording Artist, Singer, Songwriter, Musician, Composer, Record Producer, Cultural Educator and Lecturer, Iroquois and other Native American history and culture. Howard Lyons has recordings and released three national recordings which have been recognized by top entertainment industry professionals and nominated for various awards. Howard Lyons has captivated listening audiences with his rich soothing voice and unique singing style to such a degree that his live bookings have tripled since 1999. Lyons is a Folk/Pop singer/songwriter and musician of Mohawk decent. Howard Lyons award winning lyrical content clearly proves that his diverse writing style has allowed him to cross over cultural music barriers to captivate his listeners with spirit moving and thought provoking songs that have been noted as being healing, entertaining and educational. Howard Lyons uses contemporary and traditional musical instruments to communicate emotion and to support and preserve the cultural integrity and authenticity of his Native American heritage. Howard Lyons draws from human emotion and experience where he is able to connect with his listening audience. Carefully selecting the use of contemporary and traditional instruments and voices to compose simple yet dramatic music and songs that touches the hearts and stir the soul of his listeners. Howard Lyons uses his technical knowledge and techniques through the recording process as he carefully selects and applies state of the art pro gear to capture the essence of each element of the song and composition. He works closely and creatively with each artist to bring out the best instrumental and vocal performance possible. Howard Lyons brings to life his Native Culture and creatively presents accurate historical and current day facts to dispel stereotypical ideas and images which have been ingrained in American minds through the misinformation and inaccurate portrayal of Native culture by Hollywood, news media and poorly written texts in our educational system. Howard's presentations and lectures are highly rated by educators, parents, religious leaders and various news media where ever he goes. Howard Lyons has put forth such amazing energy and resources which have kept him touring months at a time for the past five years. From January 2002 to May 2003, Lyons has performed at over 930 schools, National museums, libraries, music festivals, concerts on stages large and small. 2004 Nominee Best Pop Recording, Indian Summer Music Awards, Milwaukee. WI. 2003 State of New Hampshire Governors Award Nominee "Excellence in Arts in Education"